Are Cultural Misinterpretations A Root Cause For Disproportionate Discipline Of African-American Students? INDIANAPOLIS (April 3, 2015) — Numerous studies have revealed that African-American students are more likely than their white peers to face referrals to the office, suspension, expulsion or other forms of discipline at school. But it doesn’t have to be that way, says Renae Azziz, founder and director of Virtuoso Education Consulting (www.virtuosoed.com), which provides professional development training to teachers and school district leaders. Azziz, a school psychologist who helps districts across the nation resolve disproportionality in discipline, says in many cases it’s a clash of cultures, and not necessarily racism, that leads to disproportionate punishment for minority students. Azziz says there are a number of promising strategies schools can and are using to reduce disproportionality in discipline. • Develop supportive relationships among and within school staff and students through the implementation of restorative-justice frameworks, which use conflict resolution and open dialogue. Restorative justice focuses students on the ramifications of their actions so that they take ownership of those actions and learn from their poor decisions. • Engage in culturally relevant and responsive instructions and interactions to make the curriculum engaging for all learners. • Change disciplinary codes of conduct to align with positive school climates through the implementation of Positive Behavioral Interventions and Supports (PBIS) that are culturally responsive. • Commit to ongoing professional development for teachers focused on developing their awareness, knowledge and skills related to culture. African-American students often have more negative views of their schools than white students because they perceive them as being less fair and consistent with discipline. That this perception exists, Azziz says, reinforces the idea that educators need to be culturally responsive so that the school environment meets the needs of students from all cultural backgrounds. It’s not that schools have failed to make an effort to address problems with discipline. For two decades, the method known as Positive Behavioral Interventions and Supports has been implemented across the nation as a way to decrease suspensions and expulsions, Azziz says. That worked – sort of, she says. Data indicates PBIS does indeed reduce the overall rates for those disciplinary actions, but there’s a caveat. Minority students, especially African Americans, still receive the majority of the punishments. The answer may lie in those cultural differences, she says. Here’s an example: Teachers who expect students to raise their hands before responding in class often send African-American students to the office for repeatedly talking out. But many of those students see classroom discussions as more informal, Azziz says. Teachers who understand that back-channeling is a cultural pattern of behavior can better teach the students when that behavior is appropriate in the classroom and when they need to raise their hands, she says. Renae Azziz is the Founder and Director of Virtuoso Education Consulting. She and her team of consultants support educators nationally in the areas of Response-to-Intervention, Data-Based Decision Making, Assessment, Positive Behavior Support, and Culturally Responsive Practices. Before starting Virtuoso Education Consulting, Renae practiced as a school psychologist in Indiana. Renae also worked on grants funded by the Indiana Department of Education supporting Indiana’s Initiatives on Response to Intervention, Culturally Responsive PBIS, and Minority Disproportionality in Special Education. She was also appointed by former Indiana Gov. Mitch Daniels to the Commission on Disproportionality in Youth Services, which resulted in several legislative outcomes. Further, Renae and her team of consultants have served as project evaluators for statewide initiatives and Corrective Action Plans in Indiana and Louisiana. Renae received her educational training at Indiana University earning an Ed.S. in School Psychology, an M.S. in Educational Psychology, and a B.A. 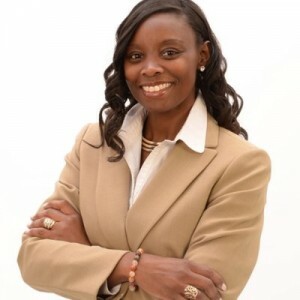 with honors in Psychology and is working towards completion of her Doctorate in Education at The Johns Hopkins University specializing in Entrepreneurial Leadership in Education.